Sedona was brought to a rehabilitator in Sedona, AZ, in 1996, as a juvenile with a fractured right wing. A year later, he came to VINS for permanent residence, due to the wing not healing well enough for flight. Ravens are some of the most intelligent birds in the world, known for their ability to solve problems, use tools, and mimic unusual sounds and even human voices. Sedona in particular can perfectly mimic a small dog barking. He most likely heard this as a nestling/fledgling and put it in his repertoire of calls. 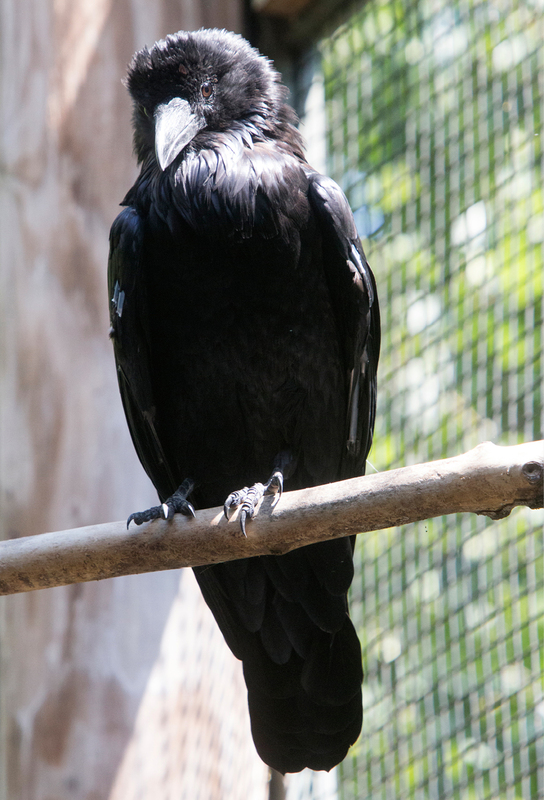 Sedona can be a pretty chatty bird and often times his loud caws can be heard while walking through the exhibits. He has even attracted the attention of a few wild ravens in the area. They can be seen on his enclosure talking to each other and sometimes passing food to one another. The Center for Wild Bird Rehabilitation ensures that all exhibit birds receive biannual health checks and a variety of nutritious foods. 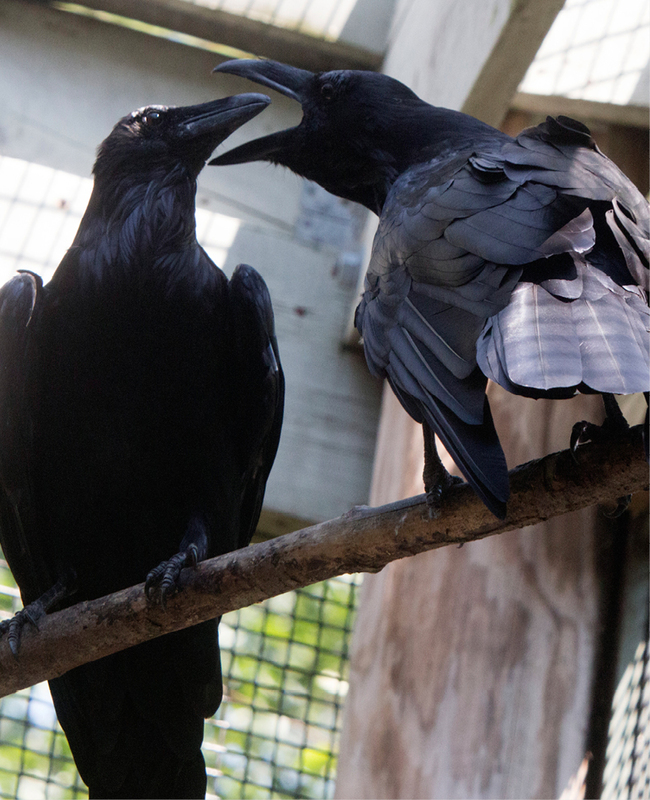 Our ravens are one of our few non-raptor species, so they must eat fruit and vegetables in addition to meat. Corn, apples, and peanuts are some of their favorites. 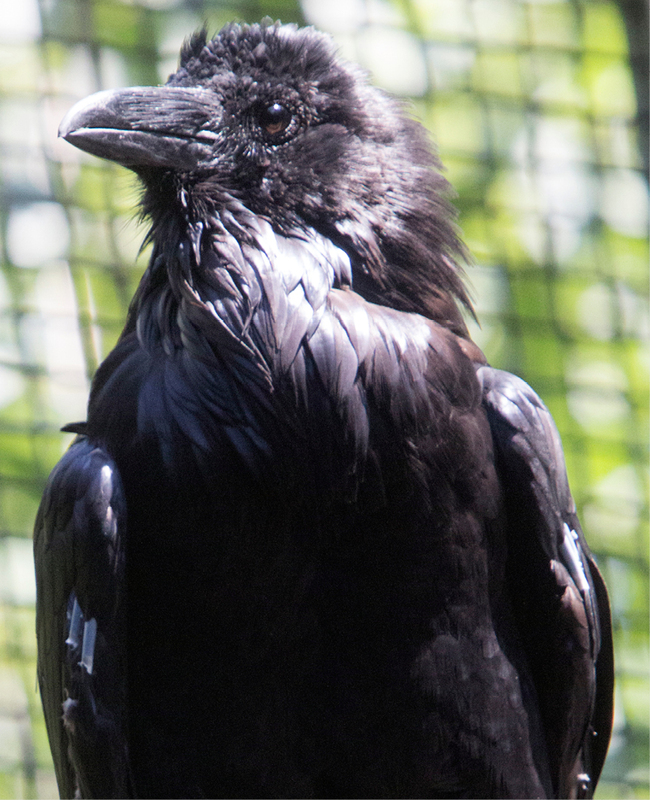 Thank you for helping support the care of our Common Raven, Sedona, through the RISE Adopt a Raptor Program. Together, we can protect our natural heritage through education, research and avian wildlife rehabilitation.